NEW CASTLE, Del. 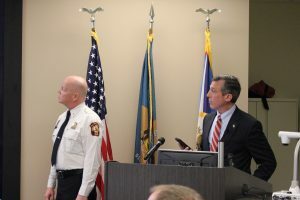 – Governor John Carney on Monday recognized that Delaware’s 911 centers are now equipped to accept emergency requests for help through text message. Today Delaware announced that all 911 centers statewide are ready to receive text messages in the time of an emergency. 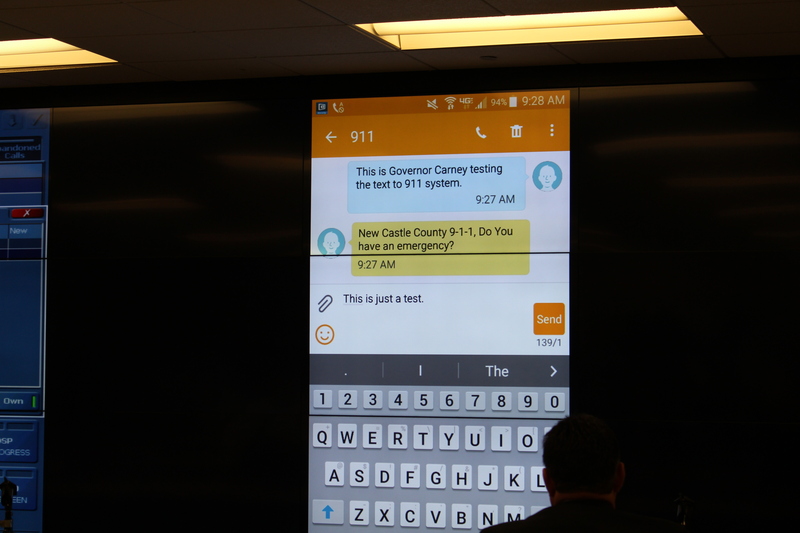 Governor Carney’s test text message displays on monitors, highlighting the newly enhanced “text-to-911” service. 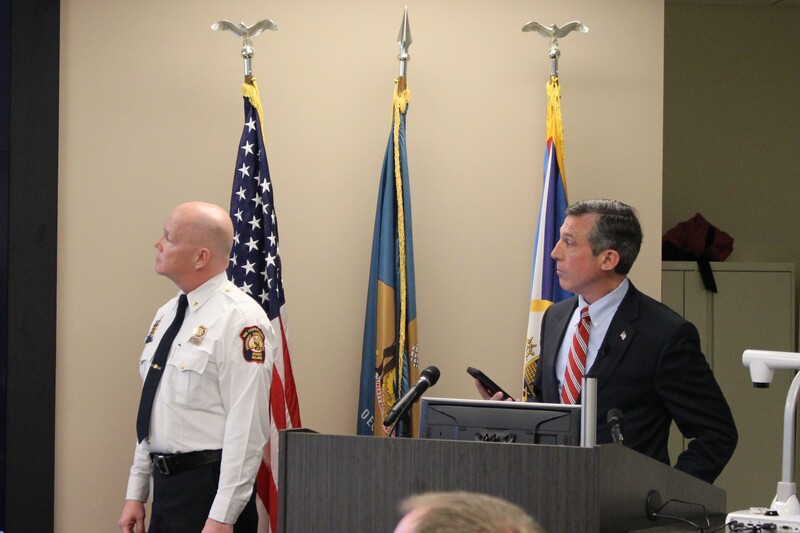 Governor Carney demonstrates “Text-to-911” with Jeffrey Miller, Chief of Emergency Communications for New Castle County. While “Text-to-911” is now available, voice calls to 911 are still the best and fastest way to contact 911 in the event of an emergency. 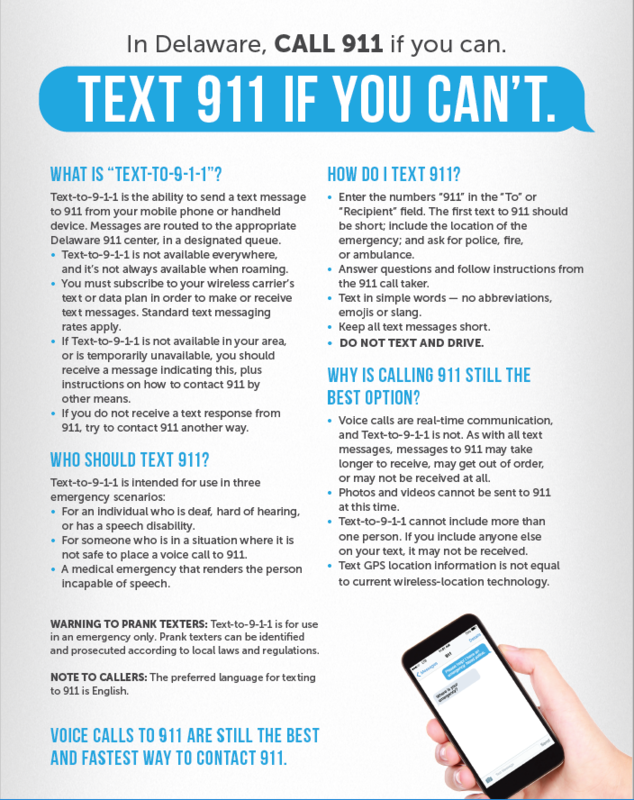 “Text-to-911” is meant for times when a call to 911 is not possible due to the caller being incapable of speech during an emergency, if the caller is hard of hearing, or if the caller is in a situation where it is not safe to place a voice call. 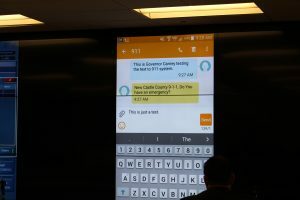 Recent upgrades to equipment and operating system software in 911 Centers statewide, funded through the State’s E911 Board provided the technology needed to support text messaging. 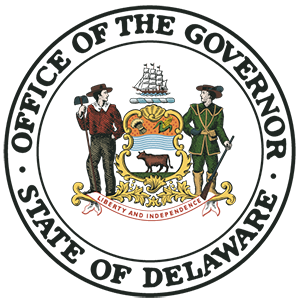 This project transitioned the State’s 911 emergency communications system which operated on copper lines to an internet based system with more flexibility for communication and interoperability. To quickly get help through Text-to-911, the first text should be short and include the location of the emergency and ask for police, fire, or ambulance. Texts should be in simple words with no emojis, abbreviations or slang. Texts should also not be included on a group conversation.